In North America (USA and Canada) there are two main types of photo booth setups you can rent: enclosed or open. Within these main types are many sub categories depending on style and functionality. To make things easier we like to define all the different types of photo booths according to the below chart to help you choose the perfect booth for rental. Enclosed photo booths either have walls, panels, curtains or a combination to ensure guests are hidden away from prying eyes while they pose for their photo booth session. 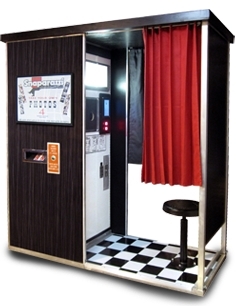 Enclosed photo booths come in a variety of sizes and on average fit 2 to 10 people. They are generally built from a variety of materials from steel cabinets, curtain rod enclosures to cubicle style paneling. The level of sturdiness of these photo booths varies greatly depending on construction methods used. Some rental companies build their own rather than using a professionally manufactured photo booth and again depending on the professionalism of the build there can be a major quality difference. 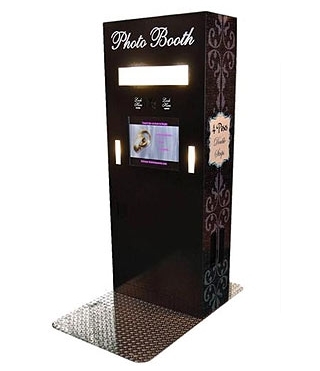 The smaller photo booths for hire will tend to have a bench seat, whereas the larger photo booths are often made for users to stand in whilst having their picture taken. Open photo booths are exactly as the name suggests - open for all to see! Like the enclosed photo booths, open booths are available to rent in all different styles however their open nature allows for more people than the enclosed photo booths. This open style means that other guests can watch the goings on in the photo booth which can create a fun atmosphere – particularly great for show ponies! Of course, on the flipside of the coin, there is no privacy, which can inhibit some of the lesser outgoing people. When choosing an open photo booth for rent, be mindful of how any potential flashes, booth lighting or noise will impact on the surrounds of where you're intending to set up. These are the booths older people will remember from their youth. Sturdy as a mountain and made of steel these are the original photo booth. Most of these machines still operating today have been fitted out with the latest digital technology to make them suitable for renting. Unlike the original versions these machines often have a computer screen, which not only lets users select different options but also shows the user as they pose. Many of these photo booths for hire have a seat or bench and are made to comfortably fit two to three people. They have been known to fit a great deal more – albeit at a squeeze which can make for a lot of laughs. Due to the weight of the often all steel construction, transporting these rental photo booths up flights of stairs can be a deal breaker. For those not worried about high tech, there are still some vintage chemical ink processing machines out there which you can hire and get those authentic old school prints. Arcade style photo booths evolved from their vintage predecessors and are very similar. 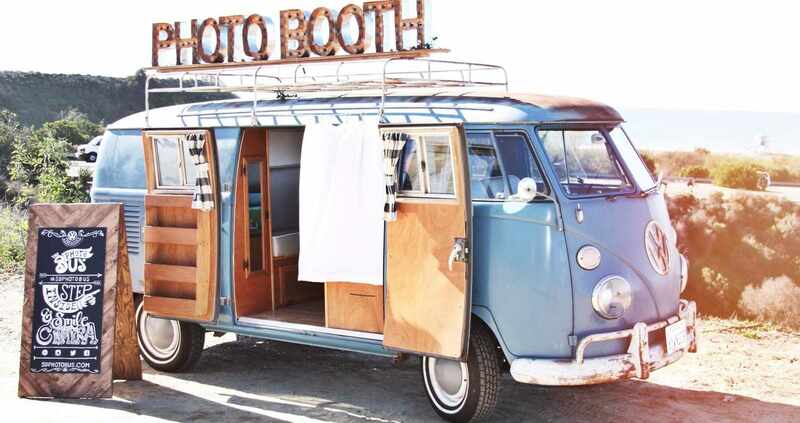 Although unlike the vintage photo booths they were designed to be more portable which makes them perfect for the photo booth rental industry. As standard they have an internal viewing screen and offer high quality fast prints via dye sublimation printing using the latest digital technology and components. 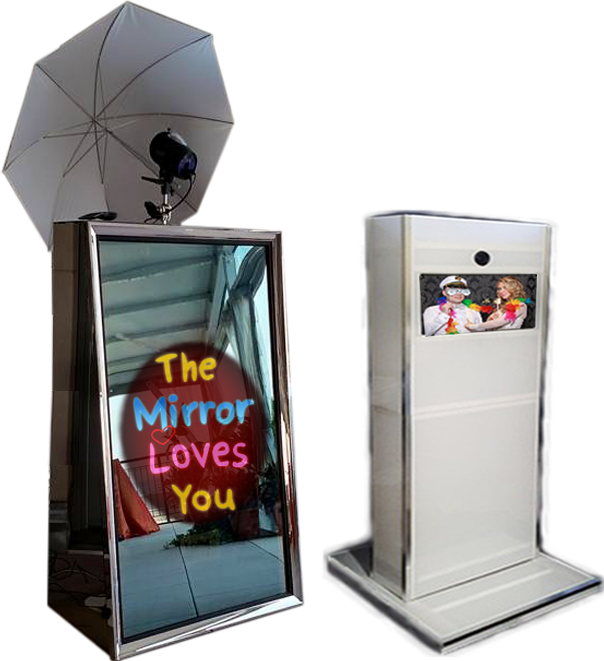 The arcade style photo booths that are used by most operators are purpose built for the photo booth hire industry. These are the same type of booth you can expect to find down at the local pinball and gaming arcade. Both vintage and arcade style photo booths will provide that classic photo-strip look and experience. 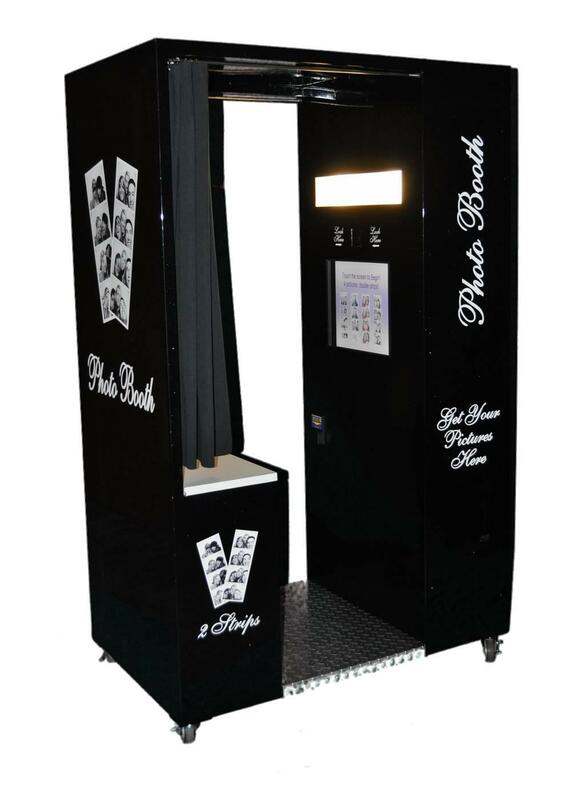 Modern rental photo booths are generally bigger in size than the arcade or vintage booths and made of panels, walls or curtains and are great for accommodating larger groups of guests. They are often able to be packed down so they can be taken upstairs making them less restrictive in their placement. Some modern booths come without an internal screen leaving guests unaware of when the shots are taken. The modern photo booth is aimed to fit the maximum number of guests whilst still maintaining the authentic old school feel of being in an enclosed small booth. Kiosk refers to any photo booth that is “column-like” in structure. The advantage of this style is there is no limit to the number of people who could potentially be in the shot when set up in the open style. Be sure to note what will be in the background of the shots, especially if no special backdrop or partition is provided. The kiosk booth can be set up open or enclosed, and most operators with kiosk photo booths for rent offer both possibilities. For the purposes of this photo booth directory, Kiosk can also refer to "print stations". These print stations facilitate the instant printing of pictures taken by mobile devices (eg using Instagram) or a photo booth. Just as it sounds this refers to any photo booth hire setup where a photographer uses their own camera to take the pictures instead of an automated machine. This can be done in both an open and enclosed setup often with various backdrops or partitions. If looking at this option be aware some photographers that offer this photo booth service do not include the cost of prints or even limit the number of shots. The novelty category is where you find the latest crazes in photo booth rental trends like Mirror Booths, Slow-Mo Video Booths, GIF Booths and Instagram printing stations. You'll also find inventive operators turning cars and caravans into photo booths taking the photo booth to even crazier places than usual! Another novel possibility is the “cartoon booth” which uses computer software to incorporate cartoon characters and other filters into the shots. Consider whether a novelty booth would enhance your event.